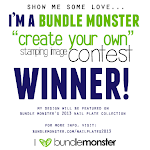 Will YOU be wearing green? I began by painting a thick coat of NYC Flat Iron Green, then using my finger to wipe away the middle of the polish, leaving only the outline of my nail dark. Then I waited a few seconds for the NYC to get a bit tacky and painted 2 coats of Sinful Colors Show Me The Way, the first one overlapping the dark rim, and the second coat just thickening the polish over the lighter area for less VNL. You can see there is still some VNL in the photos, but this is less in reality unless you are holding them in the direct sunshine. After the polish was dry I used white acrylic paint to paint the four leaf clover, then painted over it with apple green, and outlined using a dark green acrylic that I mixed to match the NYC Flat Iron Green. 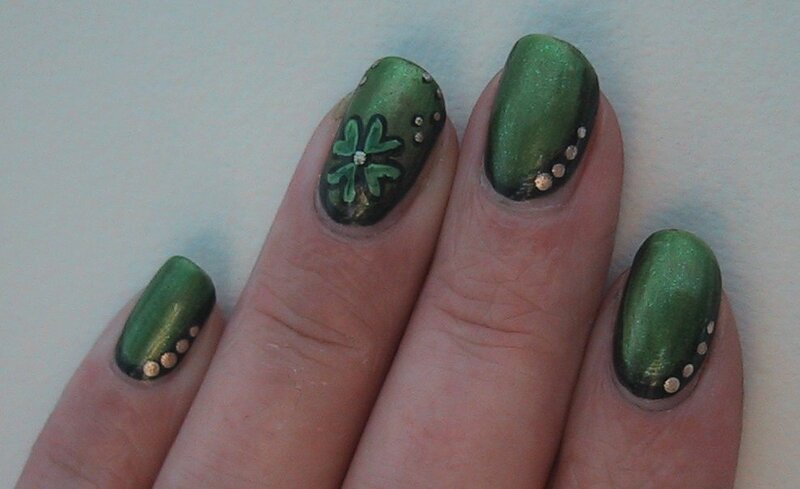 I then used my dotting tool with that dark mixture for some details around the clover. Once that was all dry I went to town with the dotting tool and some China Glaze Midnight Kiss (a nice sparkly metallic gold). Top Coat was Seche Vite! 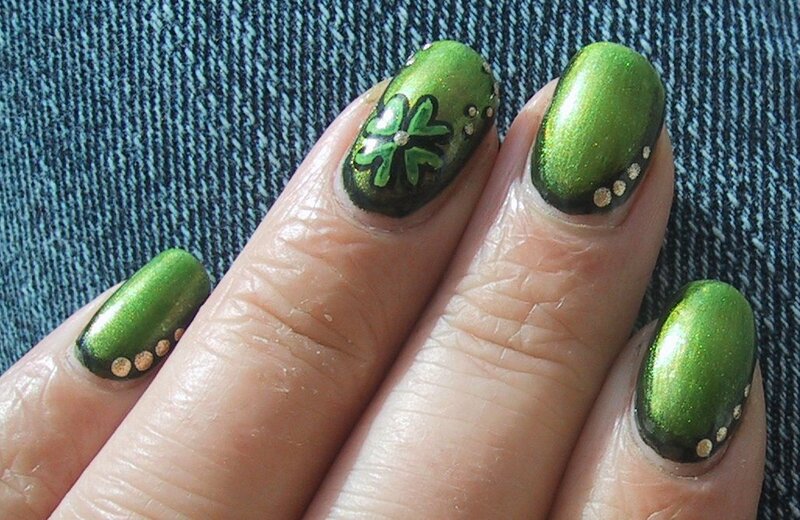 This is really cute and different from any of the other St. Patty's Day nails I've seen. I've been trying to wear green nails everyday this week. Yesterday I wore chartreuse polka dots. Does that count? This is a wonderful mani! The method (minus the clover) could be used in so many different ways...I really love this look! I really want to try that method as soon as my nails grow out healthy again.